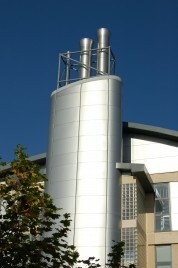 The University of Bath has strong national and international links with industry. Its research grants and contracts portfolio is worth £87m and it runs one of the largest and most established placement schemes in UK higher education. The Careers Advisory Service has links with over 4,000 employers and a very strong employment profile with 89% of its 2010 graduates going straight into employment or further study. Within the last few years, the University has been keen to develop Continuing Professional Development courses (i.e. courses for external professionals) which are responsive to employers’ and individuals’ needs, flexible in terms of delivery options and draw upon its research. However, statistics show that this market is dominated largely by training providers (universities have a very low market share). This sub-project was part of a larger project undertaken at the University to gain a better understanding of the market and of the needs of employers. The University recognised the potential strength a co-operative relationship (in this case with its partner colleges) could provide to employers in terms of the supply of knowledge and accredited learning and training across all levels from NVQ1 to PhD. In addition, by designing and linking curriculum and programmes associated with specific sectors (such as engineering) with other areas (such as business and management), it was felt that a co-operative approach may provide a range of attractive learning pathways to support workforce development. This project aimed to establish whether a market for this existed, with a view to exploring a longer term co-operative approach. To develop innovative and co-operative working between the University and the colleges such that it can better meet the wide needs of employers and can lead to sustainable engagement across the region and between the four institutions. Ultimately, the main objective is to develop lasting and sustainable relationships with companies to support them in developing their workforces and communities and thus help the regional economy to prosper and grow. This was a sub-project of the Marchmont Observatory-led HE STEM project Progressing from labour market intelligence to HE level provision that is well-supported by employers.